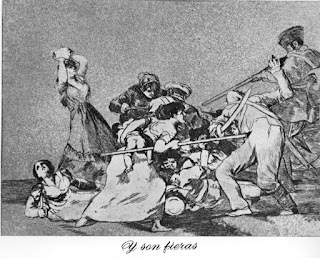 Goya: the art of people not being able to help themselves and the coming darkness. Some of us, as we age, become aware that our actions impinge on others, affect others, hurt, hinder, help or heal others. And then there are some who do not. Some people are doomed, it seems, to repeat their moral errors, their misdeeds, till death or infirmity, or ecological collapse, perhaps, put a stop to their behaviour. This is not just the stuff of arrested development, absurdity and tragedy, but of wholesale destruction and injustice. Think of the relentless, grasping greed, the short-sightedness and inability to self-correct by reflection, insight and humility of your current 'favourite' political villain or villains. In many cultures this tragedy of never learning, of mindless repetition of instinctual, id-driven behaviour, was figured posthumously in descending, if paradoxically not contracting, circles of hell, categorizing and corralling sundry sins and sinners. They were zones of exclusion, denying their denizens larger perspectives and vistas new that might liberate them from their manias, their compulsions, their unconscious goings-on; pens of enforced permanent penance and punishment that pitted one against another with no possibility of escape or surcease. And if they were afforded glimpses beyond, they only served as a galling reminder that hope was extinguished and yonder hell may well be worse than your own, so don't get ideas! The traditional image of hell was an eternal prison of fixed dimensions, excluding that of time. 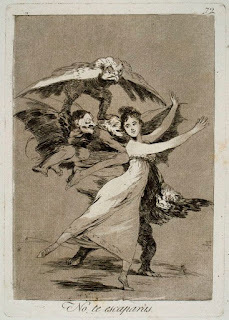 The modern hell, of which Goya was the pictorial pioneer and its foremost artist, is of course psychological, but one whose worldly consequences are truly monstrous and unfolding still. In Goya's day the circles and pits of eternal damnation and confinement had diminished metaphorical and social-regulatory clout - war, injustice, looting, heathen superstitious dread and panic, the Inquisition, corruption and frequent outbreaks of disease saw to that - and when Goya occasionally depicted spaces of secular confinement and punishment, the inmates carry on as if oblivious of their surroundings. 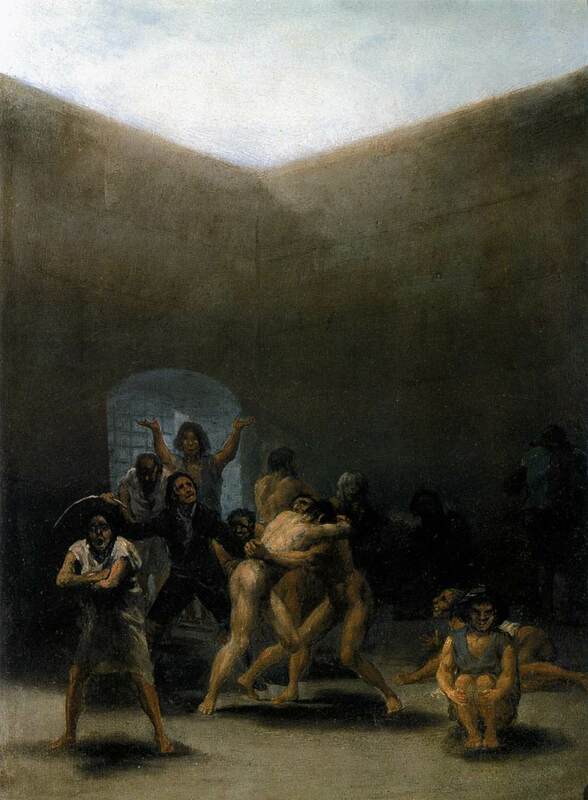 Prisons, asylums, courtrooms were mere stagecraft for pictorial light and drama and perhaps to demonstrate that the quotidian light of reason cannot illumine minds sunk in impenetrable darkness. Perhaps too, the futility of any appeal to a higher authority. But indoors or out, there was no difference. Hell became our condition. The stays, never very effective to begin with, on human iniquity, cupidity and stupidity, had been loosened and, like a town besieged by bandits and rabid dogs, nowhere was safe. We were and are carrying our hell with us, having internalized Inferno by externalizing and reducing Paradise to something that could be possessed no matter the price, and our projections on the world have become a grisly reinforcing feedback loop. Hell had pitched a tent in the muck of our minds, set up shop in the subconscious. The infernal regions had taken refuge in the dimensionless dark of our souls as the glare of reason further shredded the already tatterdemalion fastness and ramshackle redoubt of organized religion, as credo gave way to dogma and reason issued new license to both the light and the shadow aspects of human nature (no hell, so go to hell!). So Goya's landscapes are open, anti-picturesque, schematic, ill-defined, almost featureless (Clov's "GRRAY! "), as if to bring home the impossibility of escaping the self, of losing the self in any natural, or indeed supranatural, identification, as much as we quaff, jig and frig ourselves into insensibility: we carry our barrenness with us, and our solipsism, our madness, our fixations, will overwhelm and vitiate all and every landscape we occupy, bleed them of significance, beauty and vitality. 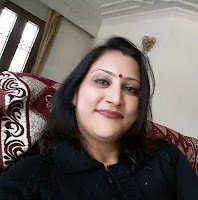 Even if the grass is greener, it will sere and wither at our approach, these pitiless deserts a metaphorical nowhere of permanent expulsion but also emblematic of the 'blindness' induced by petty self-centeredness. 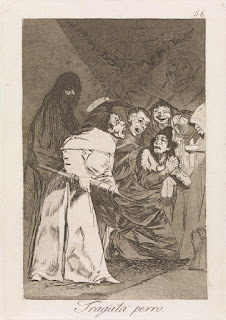 "You will not escape" (No te escaparas), as one etching's caption has it. 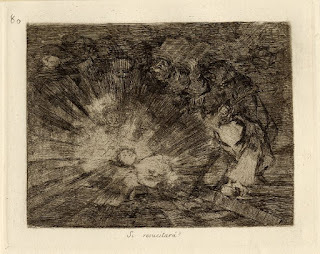 And there is no sense that she wants to, like a willing inhabitant and victim in a circle of a lesser hell, wanderer (dancer) in "the field where we do not know how to distinguish bad and good, pleasure from displeasure," as that questionable disciple of Freud, Lacan, put it. Nor does the 'sleeper' stir to shake off the monsters his mind breeds. And there is no countervailing paradise, as in Bosch, where an intact eschatology offers some hope against bad behaviour and selfishness. 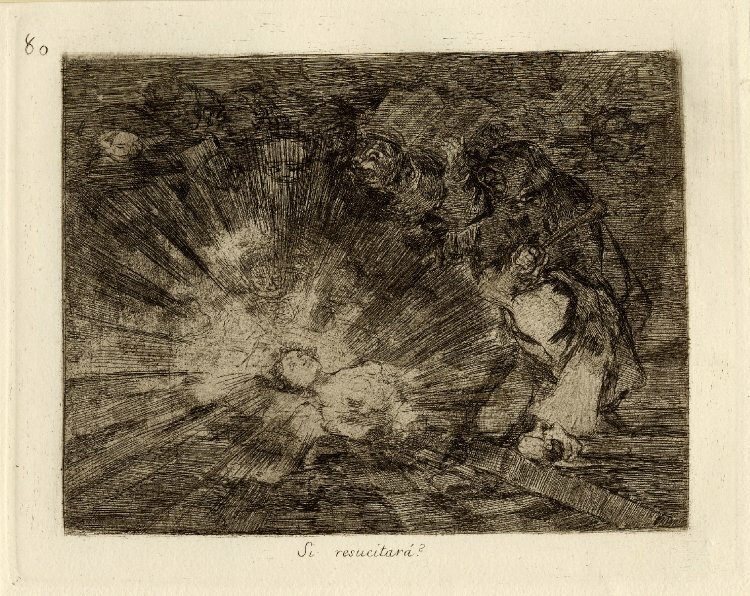 The figurative and literal deserts and swamps, as the world burns and drowns, accompanying our increasing atomization and divisiveness are scarily prefigured in Goya's wastelands. His bizarre characters, zoomorphic, therianthropic and teratological, his satires on human folly, pretensions, idolatry (frequently under the guise of zoolatry) and moral turpitude and squalor, are matched by the inanity, pettiness, greed, irrationality, bigotry and hypocrisy that is the warp and weft of so much of our lives, personal, political and institutional. Whether we like it or not, he is still the unofficial artist (because 'officialdom' still wants a feathering of 'decency' to take the edge off its ragged, insensate rapacity) and central imaginative intelligence, of our time. 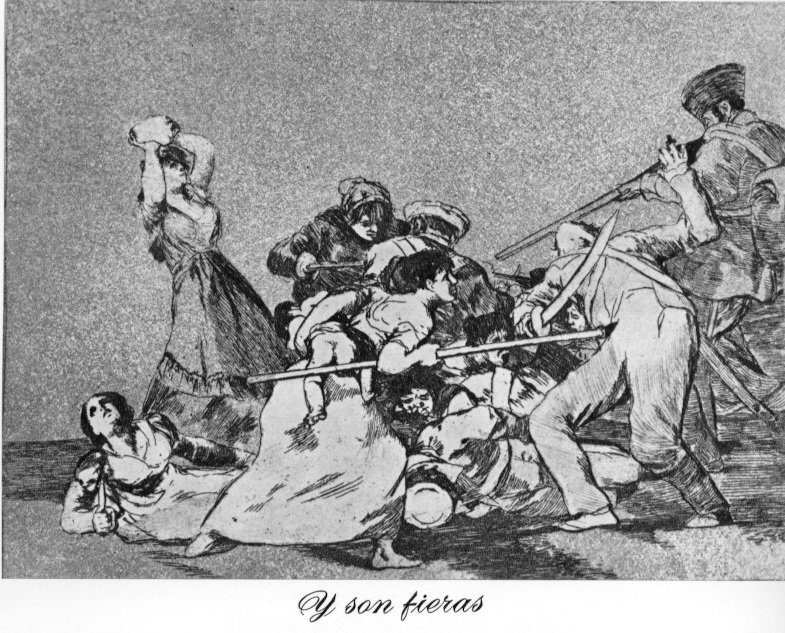 Through the witnessing of extraordinary evil and violence (the Peninsula war and other conflicts), personal loss (7 of his 8 children died) and his deafness, Goya found it well nigh impossible to muster an image of hope without rinsing it in the piss and vinegar of irony and bitterness, as if to say "hope, it's a bad joke missing a punch line". So what makes his art, not just bearable, but essential? Well, morbid curiosity accounts for a good deal of his appeal. We are aghast, and yet fascinated, by horror and calamity, as long as it isn't knocking at our own door. And we are addicted to moral outrage, as it makes us feel we have risen above our own worst nature. Goya knew all this too well, and indeed satirized our schadenfreude, our penchant for moral self-aggrandizement. He had seen just how little it takes to turn any 'decent', 'solid' citizen into a ravenous 'beast'. And in the case of our artist, when horror, darkness and depravity are rendered with such invention, such memorable imaginative power, such madcap, nightmare brilliance, such utterly compelling aesthetic powers of execution, we are suckered in like nobody's business. 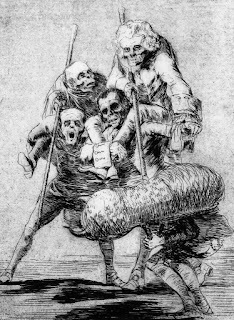 Goya's pessimism is giddy, relentless and despairing. It is also frequently funny and robust, and yes, aesthetically, if not technically, sublime (although some of the very late work is so free of any moralizing or allegorizing impulse that it reaches dizzying, almost unmatched heights of imaginative sublimity). 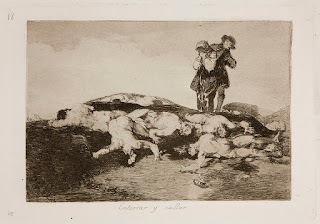 And it is very much the world we inhabit, as we, and everyone else we encounter, have the capacity, in action, thought and sometimes deed, however indirectly, such as our voting patterns, to put any doubt to rest of Goya's remarkable, more relevant than ever, psychological and sociological realism. As he wrote to a friend: "I'm not afraid of witches, hobgoblins, apparitions, boastful giants, knaves or varlets, etc, nor indeed any kind of beings except human beings." And just when we think we cannot stomach any more, Goya startles us with an image of hope, possibly dead, oh dead alright, definitely dead, but with 'her' aura intact, fulgent in the dusk, with his human/hobgoblins hunkered and hunched around her, with the poignant caption: Will she rise again? It is a question, in this darkest of times, that is surely on all our lips.